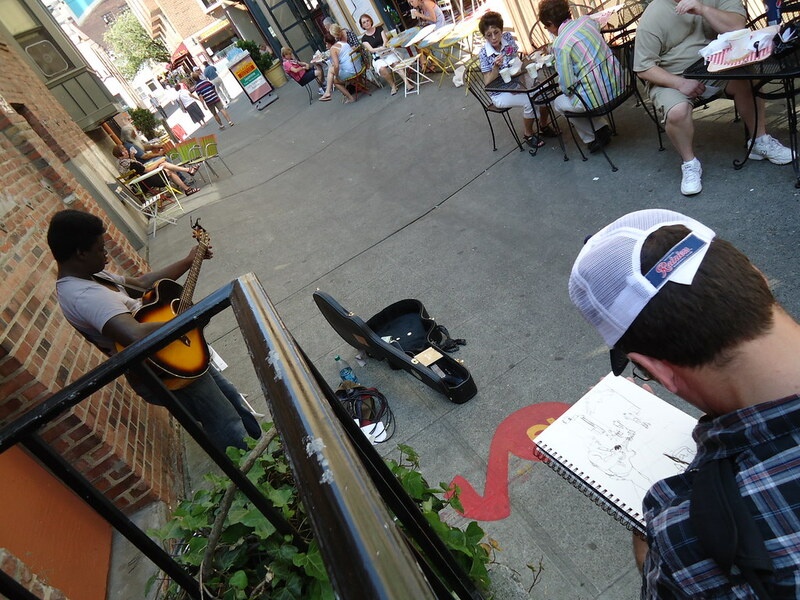 Mitsy Jones, of Hendersonville, N.C., snapped this picture while I sketched André Lovett at Post Alley. Mitsy was visiting Seattle and loving the great weather we had last week. Thanks for emailing the photo! Sketching in public is a bit of a performance too, but I’m usually so focused on the drawing that I don’t even notice if someone is taking photos or looking over my shoulder.